Discover the paranormal romance series of the first vampire as it continues with Season 2! Not just the usual vampire story … but one filled with twists, turns and suspense and told through the eyes of a kindred dog! As dark forces close in on Brogio and his beloved children, the end of all vampires could come from a single blow at any moment. Snow Blood Season 2 - A Vampire Story with a New Twist! 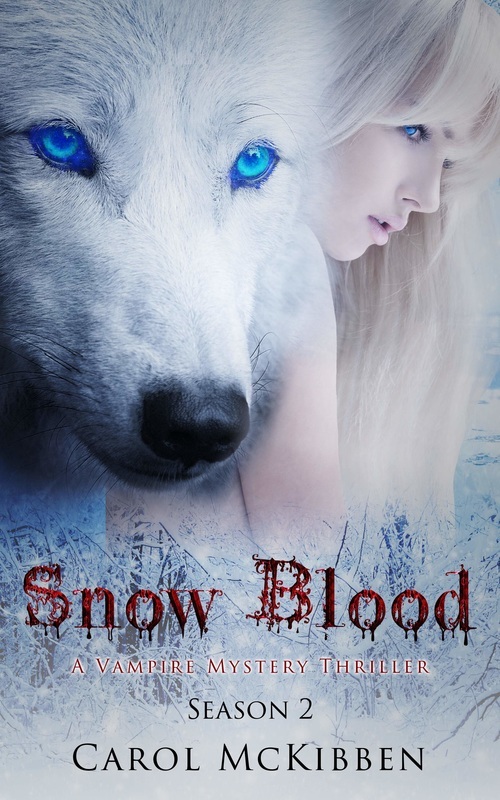 "Snow Blood was a YA vampire novel with a twist. Somehow having this story unfold through a dog’s eyes just works amazingly well. I liked the different spin taken on the usual lore, bringing a new angle to an already well-explored cannon. The plot moves at a fast pace, with the action described in gory detail. Thankfully you don’t have to wait for the conclusion of the story to read some riveting combat. 'Snow Blood is an exciting and fast-paced story about vampires. The most unique thing I find about this story is that it is told from the point of view of a vampire wolf. The intelligence and fierce loyalty of the animal is the voice of the storyteller. The story is filled with deception, family loyalty and intense battles to defend and protect the vampires from multiple enemies. The descriptions are believable and take you deep into a world of nature and spirits.
" This is a series that is worth your time to read, and I will definitely be going back to read book 1. Discover the paranormal romance series of the first vampire as it continues with Season 2! Not just the usual vampire story … but one filled with twists, turns and suspense and told through the eyes of a kindred dog! As dark forces close in on Brogio and his beloved children, the end of all vampires could come from a single blow at any moment.